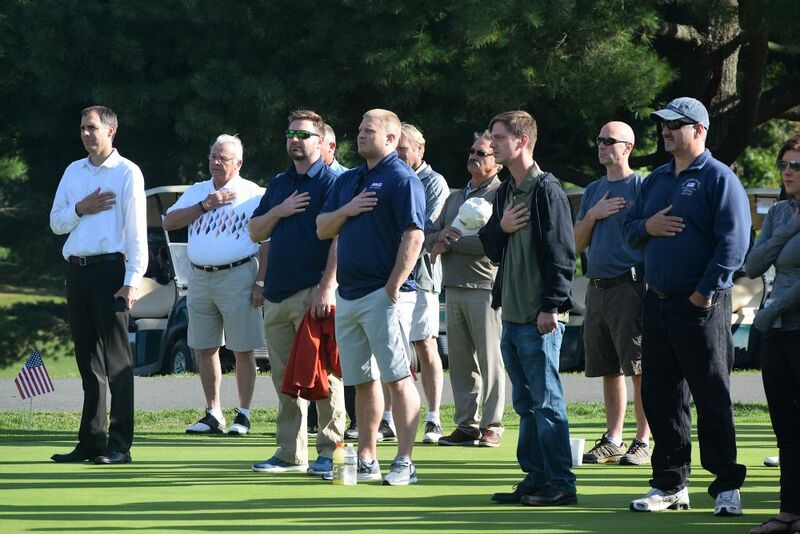 On the 16th anniversary of 9/11 terrorist attacks, survivors of the Battle of Kamdesh gathered in Purcellville to participate in the annual Stephan L. Mace Annual Golf Classic. On Oct. 3, 2009, U.S. Army Spc. Stephan Mace, of Purcellville, was among eight soldiers killed in the Battle of Kamdesh when an estimated 300 Taliban attacked American Combat Outpost Keating in the mountains of Afghanistan. Today, on the 16th anniversary of the terrorist attacks that spurred that continuing war, survivors of that battle—including Mace’s closest comrades and the nurse who fought to save his life—gathered in Purcellville to participate in the annual Stephan L. Mace Annual Golf Classic. The sold-out event raises money for HeroHomes, a Purcellville-based nonprofit that is building homes for wounded service members. Among the delegation of survivors from the battle is Daniel Rodriguez, who authored the book “Rise: A Soldier, a Dream, and a Promise Kept” about his experience. Upon returning home struggling with PTSD, Rodriguez worked to fulfill a promise he made to his close friend who died during the battle. He returned to college with the goal of playing Division 1 football. He played 37 consecutive games for the Clemson Tigers and was subsequently drafted to the St. Louis Rams. 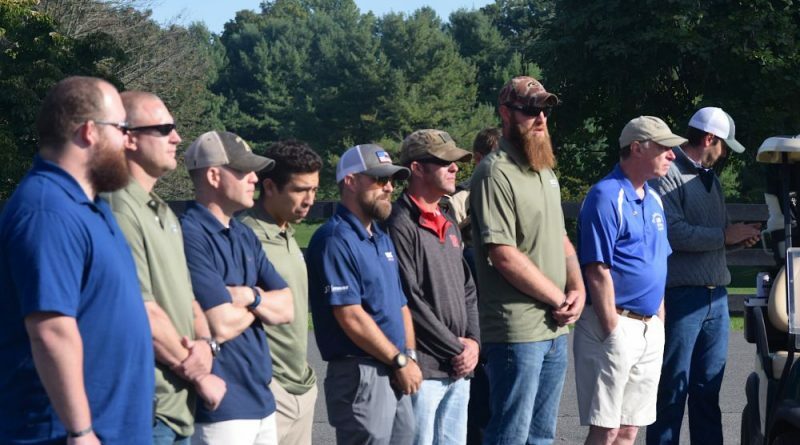 Also among those participating in the event at the Loudoun Valley Golf & Country Club are Mace’s comrades Clint Romesha, a Medal of Honor recipient who authored “Red Platoon” based on the battle; Silver Star recipients Christopher Cordova, Shane Courville, Brad Larson, and Thomas Rasmussen; and Jassey Holmes. This tournament was sold out for the third consecutive year with 156 golfers and more than 50 area businesses contributing through sponsorships and donations. “No matter how long HeroHomes exists, no matter what honor we’re given, no matter what award we’re given, there will never ever be anything more important than to be associated with the gold star family of Stephen Mace,” HeroHomes founder Jason Brownell said. “We are blessed to be here with Stephen’s family and friends—those who knew him on his first day and those who were beside him during his last,” said Matthew Weathers, who was Mace’s platoon chaplain. “On a day when our nation pauses to reflect on the fragile nature of life and the need for heroic men and women, there is no more appropriate place for us to be and more crucial calling for us to answer than to gather together and recall those we have lost, to fellowship with those we still have, and to invest in those who need our help. 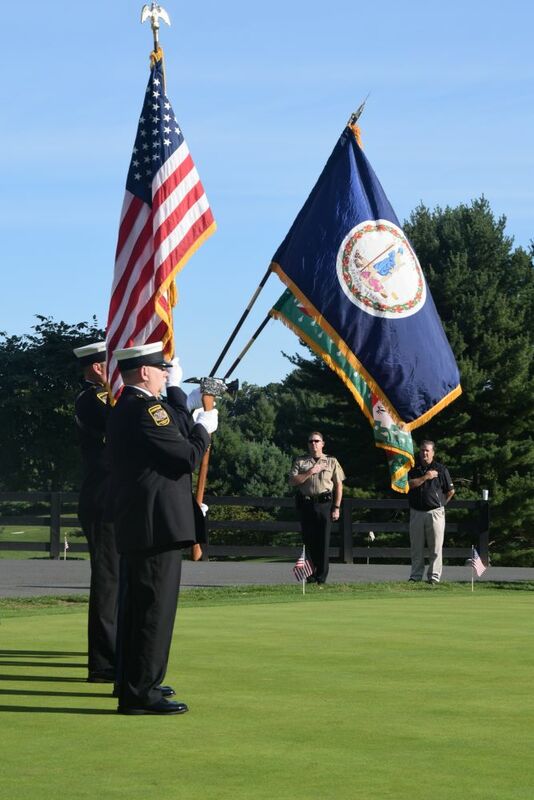 Opening ceremonies for the Stephan L. Mace Annual Golf Classic, held Sept. 11 at the Loudoun Valley Golf & Country Club in Purcellville.